Stock Photos are the essentials in blogging and web design needs due to the fact they add visual design and appreciation for the readers or visitors. They give the initial impression of whether or not a site is worth checking out. Aside from websites, stock photos are also used in projects ? and to make a project not look so dull and boring, adding images can really spice up the reading ambience. There are a lot of sources for stock photos. There are many that offer free stock photos and other relevant content but do not expect much when it comes to both quality and quantity. There are sites that offer expensive but top-quality content. Because stock photos are a commodity with high demand, many sites take advantage of the prices. However, there are also sites that offer reasonable prices and affordable single purchases and subscription rates. Site accessibility and interface?because first impressions last. A website that offers stock photos for sale should make you feel comfortable browsing through their pages. It all comes down to personal taste and preference ? some would like a flashy interface while some would prefer a simple layout for a comfortable browse. Quantity and Quality?this is basically the most important factor because a great source must have a lot of high quality content so that you have a wide variety of selections to choose from. There are some sites that offer the images you need but they dont have as much selection as one of the best sites. Again, it comes down to personal preference as ones need is a bigger deciding factor than another option than offers a bigger selection but doesnt have those needed content. Pricing?is the next most important factor to Quantity and Quality. For some, price is not a problem, which is why there are several sources of stock photos that offer excellent high-quality images but at hefty prices and still got a lot of clients. But not many can afford the luxury of spending plenty of money investing on stock photos for their websites or projects. Once you’ve figured out and prioritized your stock photo needs, you may now check these sources for getting one of the best quantity and quality stock photos in the market. iStockPhoto?is owned by Getty, making them a reliable source for cheap stock photos you can invest your money in. They offer excellent stock photos quality-wise and quantity-wise. 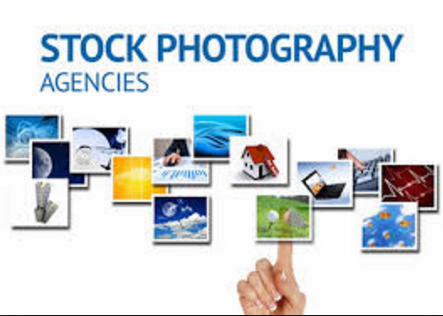 Bigstock?offers one of the cheapest monthly subscription rates and also provide a free trial of 5 images per day for a span of 7 days ? totaling 35 free images in a week! Fotolia with its international expansion and planned integration with the Adobe Creative Cloud, Fotolia will continue serve all types of clients but will considerably improve their services. They also offer one of the cheapest price for single image around. Shutterstock as one of the most popular source of stock photos around, Shutterstuck has a very large library of content and is among the most reliable, boasting plenty of positive feedback and reviews.